Physics, Chemistry, Biology, English, and Reasoning. Correct answer:- (+)4 Marks; No negative marking. Duration: The time given to complete the examination will be 2 hours 30 minutes. No of Questions: Physics - 60, Chemistry - 60, Biology - 60, English Language and Comprehension - 10, and Logical and Quantitative Reasoning - 10. A total of 60 marks is allocated for Physics. For chemistry, A total of 60 marks is allotted. For biology, 60 marks are allocated. 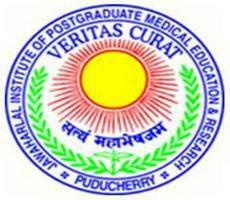 exam pattern and syllabus for JIPMER MBBS 2017? What are the exam pattern and syllabus for JIPMER MBBS 2017? The questions for JIPMER MBBS Entrance Examination 2017 will be based on the syllabus as prescribed by State Board Hr. Sec. and CBSE for XI & XII Standards. The Entrance Examination will be of multiple choice type questions. No.of questions for JIPMER MBBS 2017. How many Questions will each subject have in the JIPMER MBBS 2017? JIPMER MBBS entrance Examination Pattern. Can you tell me the Pattern of the Entrance exam for the JIPMER MBBS 2017? The exam pattern is one of the most significant details for the students appearing for upcoming JIPMER MBBS Entrance Exam-2017. It is the most effective exam tool for the students preparing for the entrance, as it gives you a brief idea about the question asked, subjects covered, total marks and other important details. Here are all the details regarding the current exam pattern of JIPMER MBBS Entrance Exam-2017. The JIPMER MBBS exam will be conducted in online mode. There will 200 questions in the JIPMER MBBS exam question paper. The JIPMER MBBS exam duration will be 3 hours. The JIPMER MBBS exam Question Paper will cover Chemistry, Biology, English and Comprehension, Physics, Logic and Quantitative Reasoning. The question will be objective multiple choice based questions. May I know the examination pattern for JIPMER MBBS 2017? There are total 200 objective questions. Zero marks will be given for the question not answered. How much marks will each correct answer carry in JIPMER MBBS Exam? Each correct answer will carry 1 mark in JIPMER MBBS Exam. Will JIPMER MBBS Exam have objective multiple choice based questions? Yes, JIPMER MBBS Exam will have objective multiple choice based questions. What is the total time allotted for JIPMER MBBS exam? Is the Negative marking JIPMER MBBS exam? No, there is no negative marking for JIPMER MBBS Exam. How many questions are there in JIPMER MBBS 2017? What is the mode of exam for MBBS at JIPMER? The MBBS exam conducted by JIPMER is done online, i.e It will be an online Computer Based Exam.